*Roxy will be required to complete training with her adoptive family* Proof of training will need to be sent to BBR. Full bio (updated March 18): Please meet Roxy! 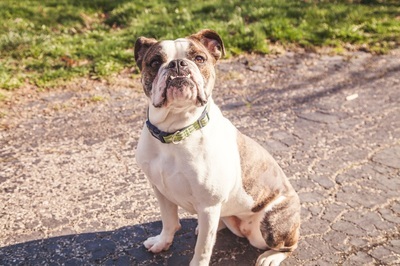 She is a super cute, 50 pound, brindle and white English bulldog. She is estimated to be 2 years old; she came to us from a shelter after being found as a stray. Roxy is micro-chipped and we tryied contacting her owners, but they never returned our calls. So she is now looking for her furever home! 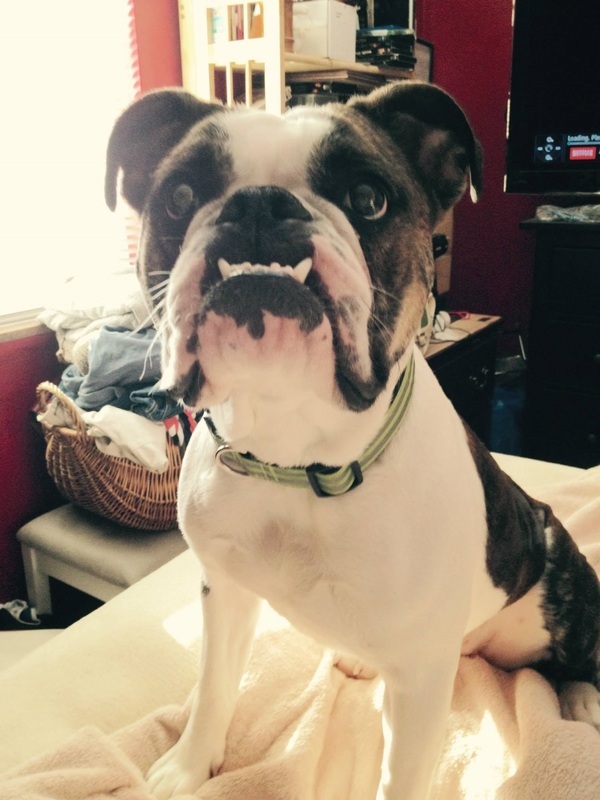 Roxy is an absolute joy to have in her foster home! She is such a lover; she will walk right up to you and flop on her back wanting belly rubs. Roxy does okay in her crate, but LOVES and prefers to to snuggle in bed. She does sleep a lot, which is from the Melatonin therapy for her alopecia. She loves to curl up right next to you! Roxy is very food curious... if you have it, she wants it. She is fully potty trained, and has had no accidents in her foster home. Roxy is a pretty smart girl: She knows how to Sit, Lay Down, and also knows the words Ball, Toy, Potty, Eat, and Hungry. She has learned to sit and wait for her food. 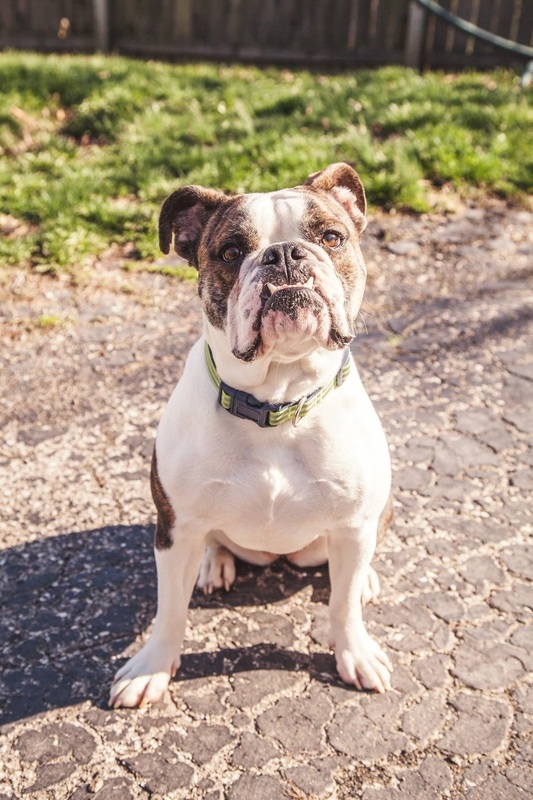 Roxy LOVES to run in the back yard and will need an energetic family to help burn off her energy. She will all require a yard with a physical fence (no invisible fence, please) - she is crazy fast and loves to run. She would be a great companion for some daily walks. Because Roxy can be mouthy when she plays and get very excited, it would be best if she goes to a home with kids 8 years and older. We wouldn't want her accidentally hurting a small child when paying. Roxy is good with cats, but is not good with other dogs. She will need to be the only dog in the home. She is quite nervous and timid around other dogs, and doesn't seem to like when other dogs rough-house around her. Roxy would not be a great companion for a visit to the dog park. One thing to note: Roxy is VERY afraid of being in a moving car, and will chew out of fear. She MUST be crated whenever she's in the car so she doesn't hurt herself, you, or your car. Roxy is a dog who could benefit from some professional training... it could help with help build her confidence. 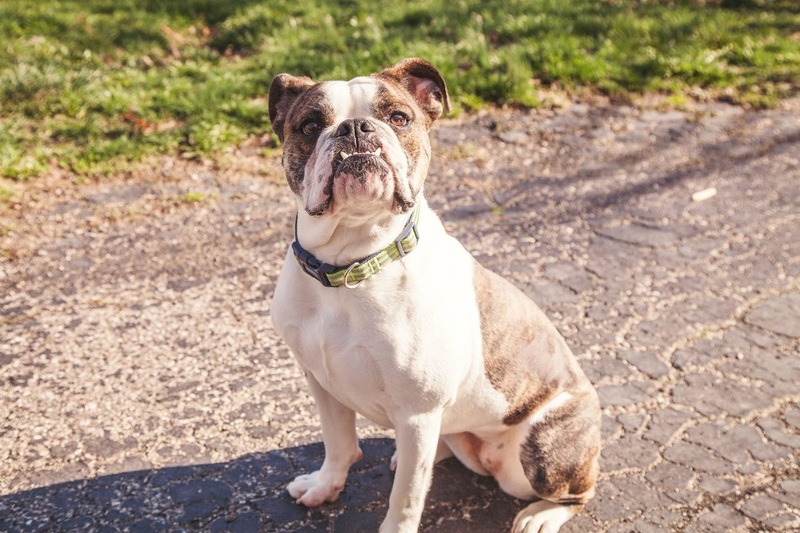 Overall, she is a total sweetheart, and will make a great addition to any bulldog lover's home. She is spayed and up to date on all her shots. Please consider opening up your heart and giving Roxy her loving furever home! 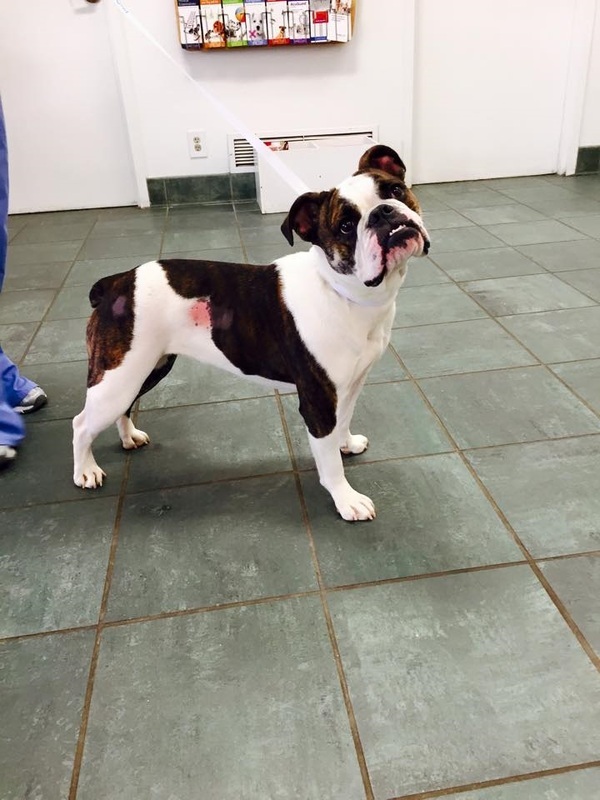 February updates: Turns out Priscilla is really a Roxy! 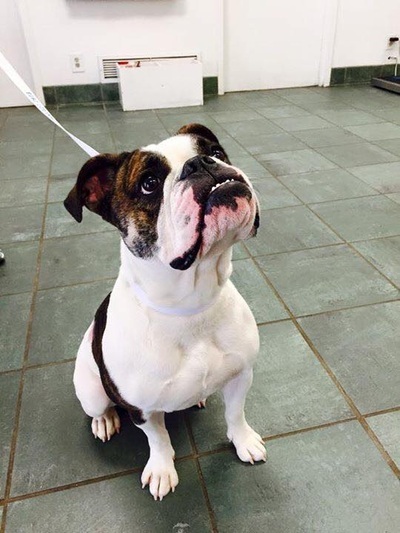 This pretty lady ended up being micro-chipped, however her owners never returned our calls. Roxy is a total sweetheart who loves to snuggle. We are learning she would do best as an only dog, and is timid and nervous around other dogs. Click here to apply to adopt Roxy.